A beautiful Cellini 31cm Buffet Plate is a tribute to the sculpting skills of Benvenuto Cellini. This Cellini Porcelain pattern is a perfect statement of modern simplicity with elegance. The varied patterns invite an individual statement to your table setting. This piece is embossed with a modern interpretation of traditional scrolls, trellis and roses. The Cellini Buffet Plate is from the Classic Collection of Tableware, crafted from vitrified porcelain for strength and durability and Dishwasher Safe and Microwave Safe. 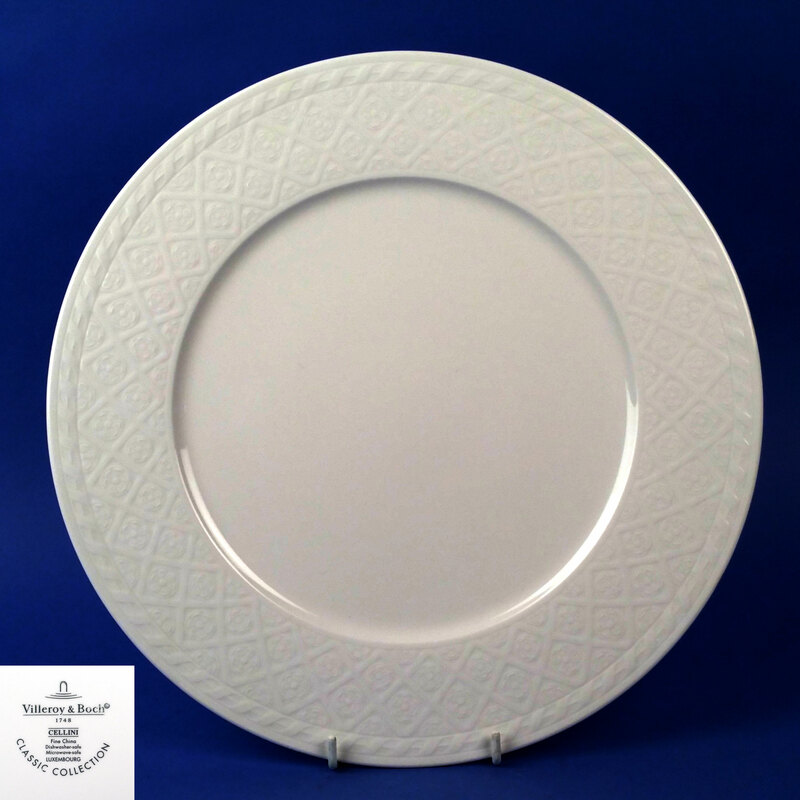 This replacement Cellini Buffet Plate is but one part of a desirable dinner setting that is the perfect backdrop for exquisite cuisine.